In most case, diabetes can be managed. But to be successful at controlling your condition, you need reliable information and personalized support. 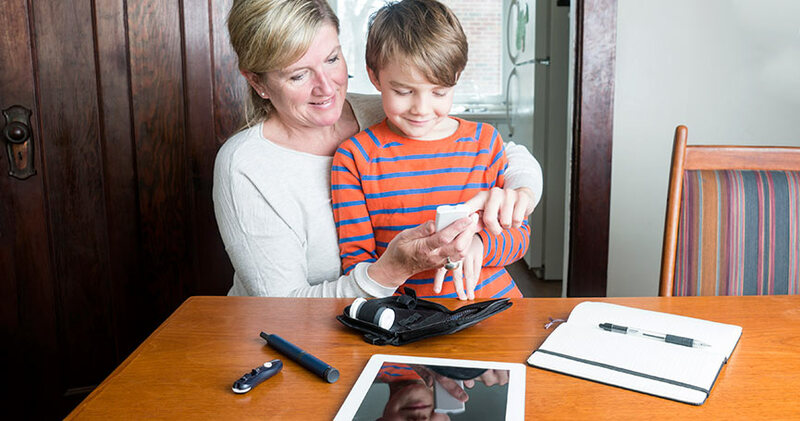 Throughout central Connecticut, patients who have diabetes can find the information and support they need at MidState's Diabetes Center. The American Diabetes Association has recognized our Diabetes Center as being in accordance with national standards for Diabetes Self-Management Education Programs. You'll work with our experienced nurses and dietitians, who are Certified Diabetes Educators. And, your physician will coordinate your care with our team, to ensure that you are equipped to achieve your goals. Your first step will be to attend our Self Management Group Program. The Program consists of two 3-hour sessions. In these two sessions, you'll receive information that every individual with diabetes needs to know. The classes are available mornings, afternoons and evenings (Wednesdays). Check class times. Individual sessions are available to monitor your progress. Optional sessions for stress management and weight management are available, as well. We also offer a support group to help you succeed in making any necessary lifestyle changes. Visit our Diabetes Education page to see what is covered in our classes. Because no two people are alike, no two cases of diabetes are the same either. That's why our program takes an individual approach. Our diabetes team is available for individual consultation Monday through Thursday, from 8 a.m. to 4:30 p.m. Call us at 203.694.5425 to schedule an appointment, or for more information. The Diabetes & Outpatient Nutrition Counseling Center is located at the MidState Medical Services building at 61 Pomeroy Avenue, East Meriden, Connecticut.